Work Experience & Internships: Where can I volunteer? There are loads of reasons why volunteering is beneficial. From giving something back to learning new skills, the list is endless. Volunteering can also help you get your dream insurance job. 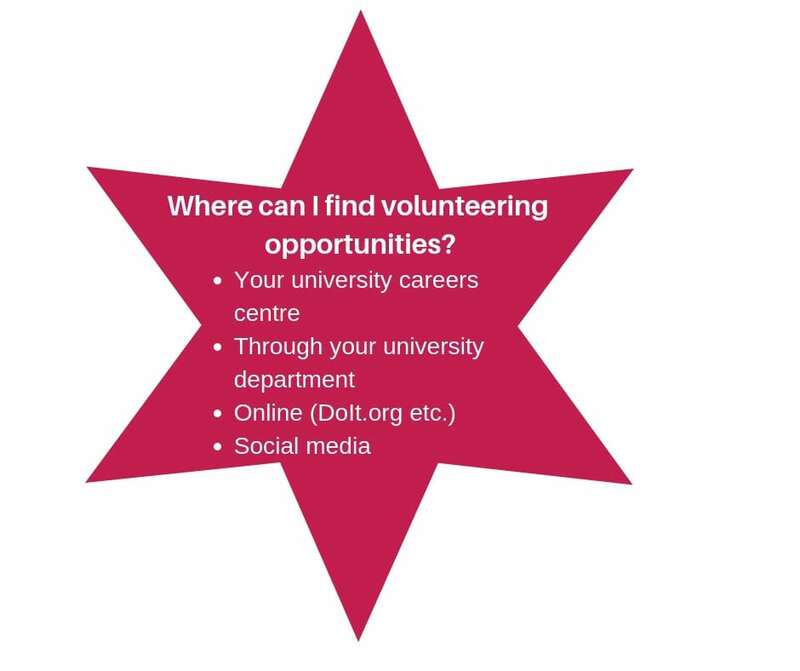 While there are lots of volunteering opportunities out there, it can be difficult to know where to start looking. 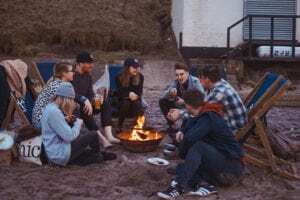 In this article, we’re going to look at the different places you can volunteer, and how these opportunities could help you get your perfect insurance job. Where can I volunteer in STEM? For those of you with science, engineering or maths skills, there are plenty of volunteering opportunities related to STEM. The STEM Ambassador Programme, nationally manged by STEMNET (the Science, Technology, Engineering and Maths Network) enables anyone to volunteer as an inspiring role model for young people aged 5-19. Your job as STEM Ambassador is to encourage students to consider studying STEM subjects at a higher level and progress into related careers. You will get involved in a range of activities, from mentoring to hosting careers talks to delivering presentations and careers talks about STEM careers. By taking part in just one activity a year, you have the ability to engage in Science, Technology, Engineering and Maths by providing real life applications to the topics they learn in the classroom. STEM Ambassadors come from a wide range of ages and specialisms, from civil engineers to marine biologists. Many volunteers comment on the sense of achievement they feel following volunteering activities, which also provide opportunities to develop communication and presentation skills, building self-confidence through interaction with students. You can read more about becoming a STEM Ambassador here. Stemettes was created in February 2013 and boasts the support of Deutsche Bank, Accenture and Salesforce. Their mission is to inspire the next generation of females into the STEM fields so that eventually women can be proportionally represented in the field. They do this by hosting panel events, hackathons, and exhibitions and also offer a mentoring scheme. Many of their volunteering opportunities are open to all genders, and range from volunteering at events, helping with mock interviews to mentoring a young woman running a club. However, if you are a woman (or identify as such or non-binary), there are other opportunities that are available to you, including becoming a mentor, creating a profile video and even writing a letter to your teenage self. You can find out more about volunteering with Stemettes here. Where can I volunteer in finance? If you are looking at a career in the finance industry, then taking part in volunteering that relates to the sector will allow you to learn new skills and gain valuable experience in the finance sector. Many charities will advertise for volunteers to work as finance mangers, treasurers or accountants. Activities may include preparing budgets, keeping accurate financial records and paying invoices and volunteer expenses. There are plenty of opportunities with a variety of great charities online, from Cats Protection to Parkinson’s UK. Websites such as CharityJob, DoIt and Third Sector Volunteering have a range of different roles in locations across the UK. As well as being excellent preparation for a career in finance, these roles can also give you management experience and enhance your communication skills. Where can I volunteer to teach English? Volunteering to teach English is great for developing your communication skills as well as your management skills. You may want to consider teaching English as a foreign language (TEFL) or teaching English to speakers of other languages (TESOL). TEFL can be a great way of seeing exotic and exciting parts of the world without breaking the bank. If you would like to stay closer to home, TESOL offers you the opportunity to teach English to foreign language speakers in the UK. These opportunities to do not require extensive training or knowledge of a foreign language, but they will involve some training. Sometimes an institution will offer to train you themselves, but you may want to gain an independent TEFL qualification. Read more about TEFL and TESOL. Where can I volunteer on my gap year? Taking a gap year is a common choice for people before and after university. It gives you a range of opportunities to experience new cultures, meet new people, and generally have a great time. It also a great time for you to get some volunteering experience. There are a huge range of volunteer placements available which can be arranged from the UK. These vary in length and in price, so make sure you do your research to find what you want to get out of it and at a price you can afford. Websites such as VSO and GVI have plenty of different volunteering opportunities, from marine conservation to community development. Alternatively, you can find a full-time or part-time job whilst you are away. If you plan to work abroad, bear in mind that language and visa restrictions will vary depending on your own background, the type of work and the country you intend to work in. Hopefully this has given you some idea of the different places you can volunteer, both in the UK and abroad. Volunteering is hugely rewarding, and you may find that the skills you develop while volunteering will help you secure a place on a graduate programme.